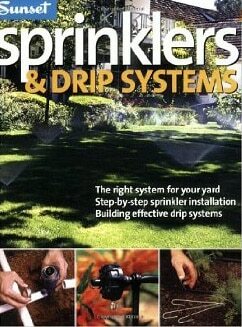 Check with the building department in your area before you start planning a sprinkler system. 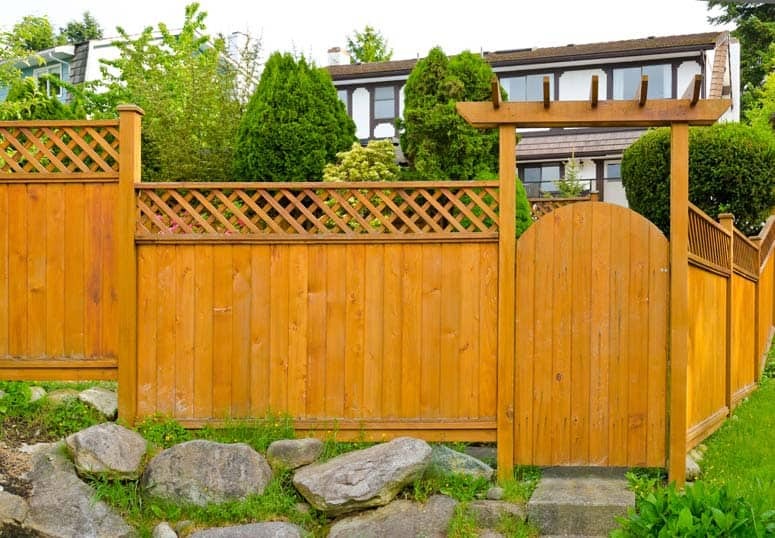 Research any installation restrictions or codes that might affect the design, including regulations for backflow preventers and the sizes of valves and pipes you’re allowed to use. 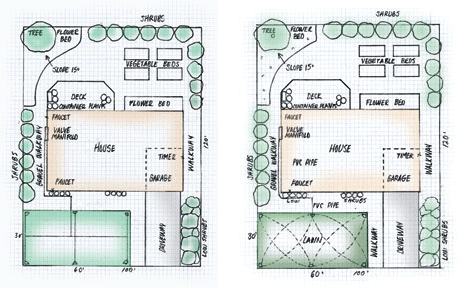 Make a layout plan of your yard and then add locations of sprinklers and irrigation. You’ll also need to call your utility companies to determine if there are gas, water, telephone, or cable lines on your property that might be broken or disrupted by trenching for sprinklers. 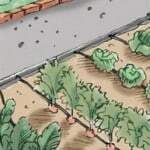 Mark the location of all underground utilities on your garden layout. 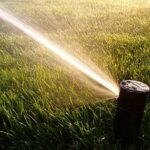 To begin planning your irrigation system, first locate the water supply, which is usually your home water source. Next, find the point where you’ll connect your system to that water supply pipe. It’s important to check and note your home’s water pressure and the flow rate of the water supply pipe that will serve the sprinklers. Water pressure lower than 40 pounds per square inch limits the sprinkler heads you can install. 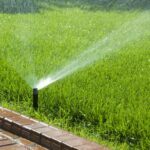 High water pressure can be a problem too: To prevent misting at the sprinkler nozzle, systems with between 80 and 100 psi may need pressure or flow regulation. A carefully measured and scaled irrigation layout plan will help you make a complete shopping list before you head to the hardware store. Using a copy of your garden plan, mark where you intend to put sprinkler heads and note the areas they’ll cover. Then use a second plan to note where control valves and pipes will go. The number of valves you use will affect the size of the manifold system you’ll need. 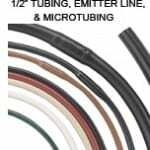 Add up the total length of pipe, including an additional foot for every 20 feet to cover any small measuring errors. Include elbows and crosses for corners and branches in each circuit. For each sprinkler head, add a threaded riser and any other fittings, such as a threaded tee or elbow, for each riser. Don’t forget a backflow preventer for anti-siphon valves, plus a shutoff valve, pipe-thread tape, and PVC cement and primer for slip connections.